For Catholics it is traditional to make pilgrimages to holy places. One of the most famous pilgrimage sites is Lourdes, France, which receives millions of pilgrims each year. But pilgrimages don’t have to be to faraway lands where apparitions have occurred. When I was a Jesuit novice we were sent on pilgrimage, a standard part of the novitiate experience. It was meant to be in the spirit of St. Ignatius’s pilgrimage to the Holy Land before he founded the Society of Jesus. Many novitiates send novices to a sacred or meaningful destination of their choosing “without money” (or at least very little). They have to beg their way there and rely on the help of God and the generosity of others. My novitiate, however, did not require us to beg. Instead, I was flown to Jamaica to spend six weeks serving in a poor area of Kingston. Part of me desired the “traditional” Jesuit pilgrimage without money, but I came to appreciate the meaning of pilgrimage in a new way. Pilgrimage, we were told, was for an encounter with God. In the epilogue of Les Misérables, Eponine and Fantine sing together, “To love another person is to see the face of God.” Could novices find God begging on the streets? Yes, but for me that encounter was through the many people I fell in love with during my time in Kingston. These people had so little, but their faith and recognition of God even in the poverty was striking. They had greater faith than I did that God would care for them, and they certainly reflected the face of God more than anyone I had ever met. My pilgrimage wasn’t to a place like Lourdes or Jerusalem, but it was to a holy place where sacredness occurs each day. 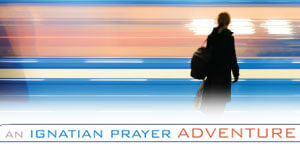 Pilgrimage should be a daily undertaking, a desire to encounter the living God in every person we meet, in every place. Because if we can begin to love our forgotten co-worker, the person in the street, or even our enemy, we will, without doubt, encounter God. Life on God’s Holy Ground is an exciting pilgrimage. It is indeed a grace from God to recognize the sacred in the everyday. I like the idea of pilgrimage being a daily undertaking. It is a miracle that you went to Kingston and made it back alive! All joking aside.